New York City is a beautiful busy city that has tons of people in need of orthodontic care and treatments. Choosing the right orthodontist can feel overwhelming and stressful. Usually, patients are referred to an orthodontist by their general dentist. Sometimes patients are not happy with the orthodontist they were sent to and prefer to find one on their own. If you are searching for an orthodontist in NYC, the following tips will help you choose the one that will make you feel 100% confident in your decision. Depending on your lifestyle, you might spend most of your week at one location or another. Whether you spend a majority of your time at home or at the office in the city, you need to choose an orthodontist office located within a 10-mile radius from where you spend most of your time. 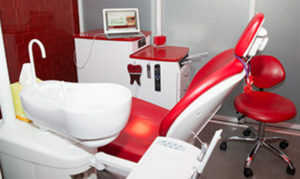 Dr. Jacquie Smiles office is conveniently located near 30 East 40th Street Park Avenue, New York, NY 10016. Once you have narrowed down the location and 10-mile radius area, you need to conduct an online search for local orthodontists. It’s important to visit each of the websites to confirm they are licensed and a legitimate business. You are looking for orthodontists in the New York City area that are licensed in the state of New York and have two to three years of specialty training in orthodontics. Orthodontics offices that have these credentials are usually proud and eager to share the information if it’s not already posted on their website. If an office refuses to confirm their credentials, remove them from your list. Patients often share their experiences online. You can do a search to find out the experience other patients have received at the office you are researching. Remember not everyone is happy all of the time but the reviews should be at least 85% positive. At this point, you need to narrow your search to your favorite three orthodontist offices. Contact the orthodontist office to make an appointment for a consultation. While you are at the office you need to observe the environment, staff, and other areas to assure you feel comfortable in the office. What are my end results going to be? What is the estimated treatment time frame? Will the treatment require frequent visits? What is the quote for the treatment I need? Does the quote include office visits? If you are interested in orthodontics consultation in NYC, please contact the offices of Dr. Jacquie Smiles today for an appointment by calling 212-972-3522 or filling out the contact form to receive additional information. Her office is conveniently located near 30 East 40th Street Park Avenue, New York, NY 10016. After you have visited all three offices, choose the one that you like the best. Preferably, one that is nearby to where you spend most of your time during the week and has treatment services that will benefit you. 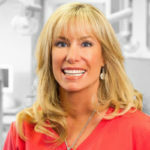 Dr. Jacquie Smiles offers orthodontic treatments such as Invisalign, teeth whitening, general dentistry and more at her orthodontist office conveniently located in Midtown Manhattan near near 30 East 40th Street Park Avenue, New York, NY 10016. If you are located near Midtown, you can begin your journey to a healthy beautiful smile today by calling for a consultation right now at 212-972-3522 or filling out the contact form to receive additional information.